As you need a proper set of tools for any task you undertake, so also you need a proper cutting board for food preparation. 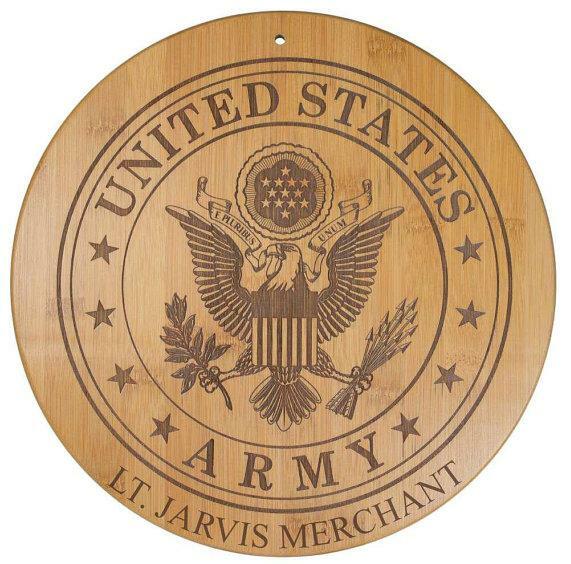 As any chef or for that matter any cook or anyone who have ever cooked a meal for oneself or for others know the importance of a cutting board. Cutting board makes things a lot faster for you, gives you a proper surface for chopping your food, and some of these double as even trivets, serving platter or simply as a conversation piece and more. Bamboo Cutting Board with 7 Color-Coded Removable Cutting Mats: The Bamboo Cutting Board with 7 Color-Coded Removable Cutting Mats makes it easy for you to chop different types of foods using its color coded mats. These mats are easy to clean, are flexible, can be used with the cutting board or separately, and can be stored inside the cutting board when not in use. Buy Now. 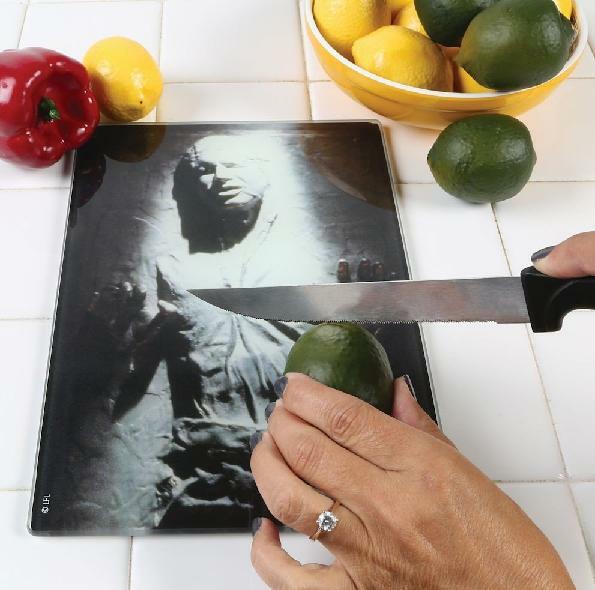 iPad and Knife Storage Bamboo Cutting Board: All of us aren't trained chefs or to speak frankly are among those who can cook just about edible food. And that too we need to view recipes and watch how-to videos while cooking. To make things easy for cooks like us, we have the iPad and Knife Storage Bamboo Cutting Board. 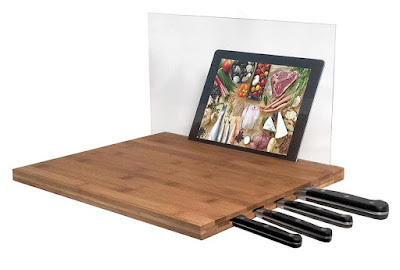 The iPad and Knife Storage Bamboo Cutting Board is compatible with most smart devices up to 9.5", comes with iPad and knife storage and screen shield for your smart devices. Its perfect for conveniently integrating your iPad into your kitchen. It works with iPad Air/ iPad 3rd Gen/iPad 2/iPad Mini. Buy Now. 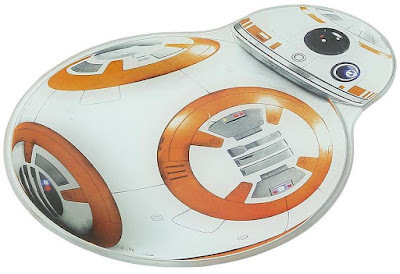 BB-8 Cutting Board: From the far away galaxy comes this adorable droid to make your cooking preparation a lot easier. 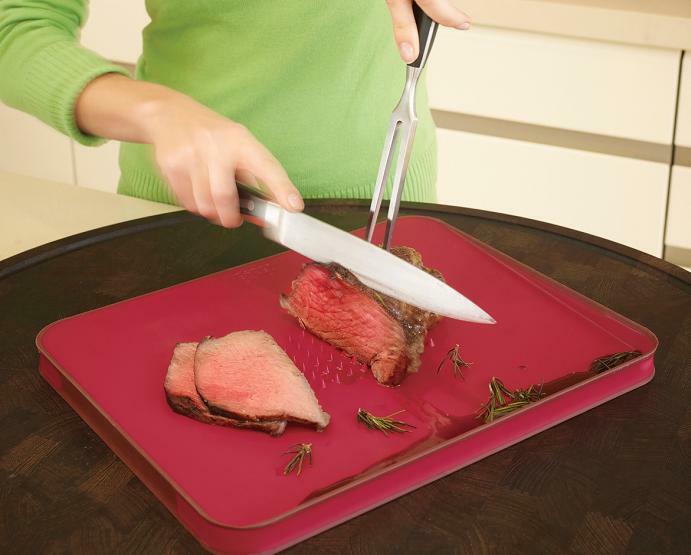 This glass cutting board comes with a non-slip rubber base and also doubles as a trivet. It can with stand heat up to 350°F and is sure to protect counter tops. Buy Now. 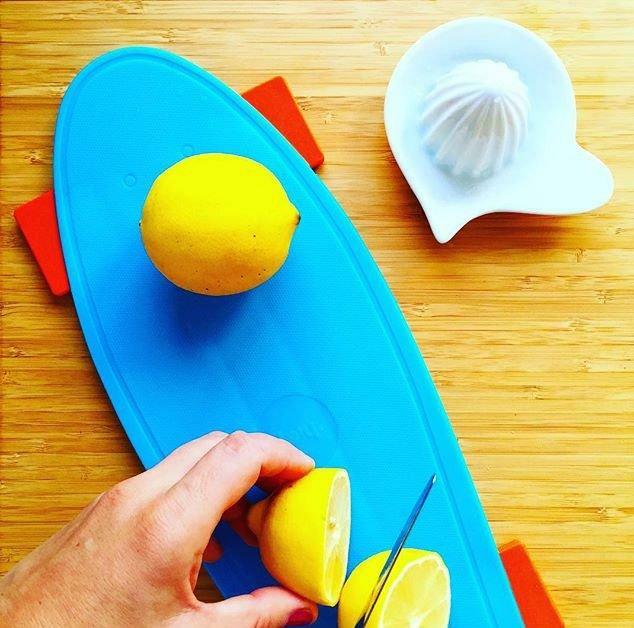 Skate Cutting Board: The Skate Cutting Board is perfect for those who never wanted to be separated from their skateboard, but now don't have the luxury of skateboarding. Nevertheless, now you can show your chopping tricks using this skate. Buy Now. 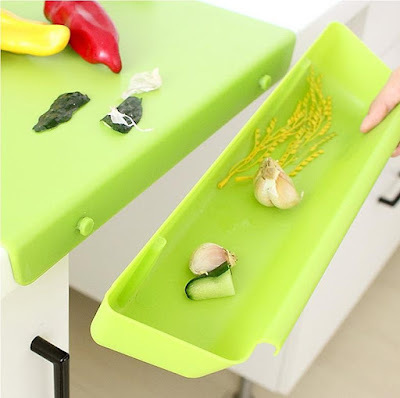 Retractable Chopping Board and Colander: This cool Retractable Chopping Board and Colander is retractable, and comes with a colander that makes washing your veggies a lot easy. So you can wash off your veggies and fruits while cutting, saves you time from going between counter and washbasin. Buy Now. Slice and Sharpen Cutting Board: A knife that is not sharp of no use, ask any chef the importance of a sharp knife, or for that matter ask anyone who has ever cooked his meal what it means. So next time you are busy chopping and feel the knife has lost its edge what do you do, go around looking for another sharp knife? 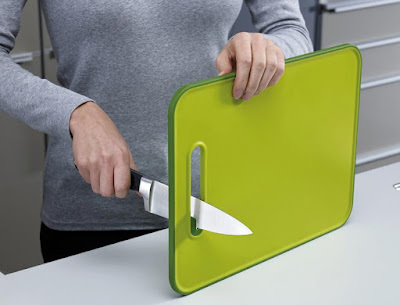 Now with this cool Slice and Sharpen Cutting Board, you don't need a sharp knife, it comes with an integrated knife sharpener, and you can easily sharpen your knives prior to cutting food. Buy Now. Cut and Carve Plus Cutting Board: Certain types of food aren't easy to chop and these tend to be slippery. 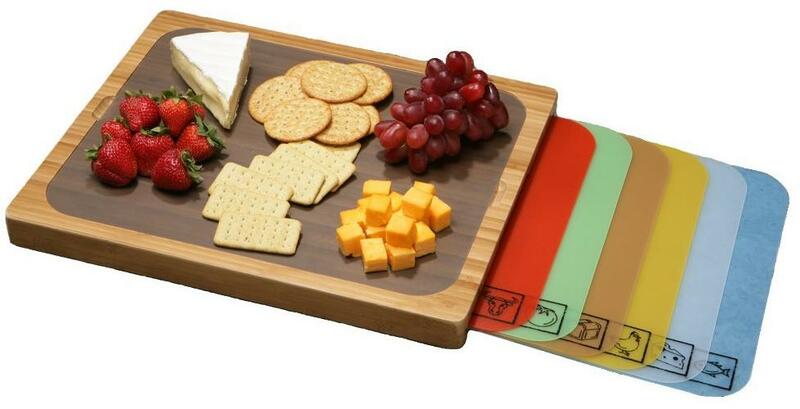 To make things easy, we have Cut and Carve Plus Cutting Board, it's a popular double-sided, multi-function chopping board that has a smooth side for normal chopping and the other side features specially designed spikes to hold food. Buy Now. Folding Bamboo Cutting Board: Have you ever tried transferring your food from your cutting board to the cooking utensil, then you know its not easy, that doesn't mean its impossible. If you aren't careful, some of the chopped veggies will land around the utensil instead of into the utensil. To make things a lot easier this Folding Bamboo Cutting Board comes into picture. Its cleverly designed to fold in half to make transferring food into a utensil simple. Buy Now. Planter and Cutting Board: The Planter and Cutting Board lets you grow your favorite kitchen herbs right on a cutting board itself. 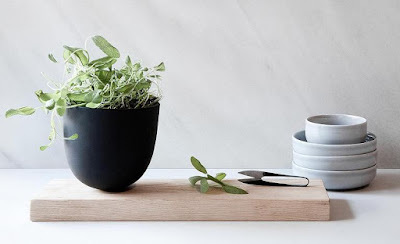 So next time you need fresh herbs, you have them right on your cutting board. Buy Now. Starwars Wooden Cutting Board: The Starwars Wooden Cutting Board is made from wood, is a little over a half inch thick and with a roughly 9.1 × 10-18 Parsecs diameter, and is perfect for your chopping needs. Buy Now. Comicut Cutting Board: The Comicut Cutting Board is shaped liked a bubble with a written text that you see in comic books. 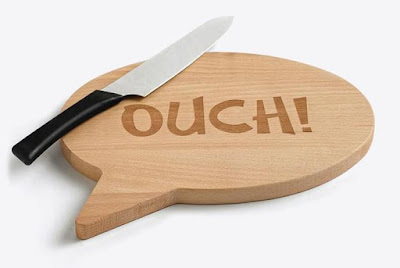 It comes with the word "ouch", so if you aren't going to be careful with the knife while chopping your veggies, then your expression is prewritten on the board and like a comic character you too can just lift the board in the air to express your feelings. Just kidding. Its made of Beachwood and measures 31x29.5 cm. Buy Now. 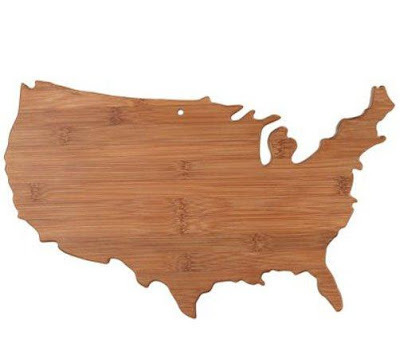 United States of America Cutting Board: This cool cutting board is made of bamboo, comes in the shape of United States of America. It's perfect as a cutting board, serving platter or simply as a conversation piece. Buy Now. Millennium Falcon Cutting Board: Now take your chopping into hyperspace with this cool Millennium Falcon Cutting Board. 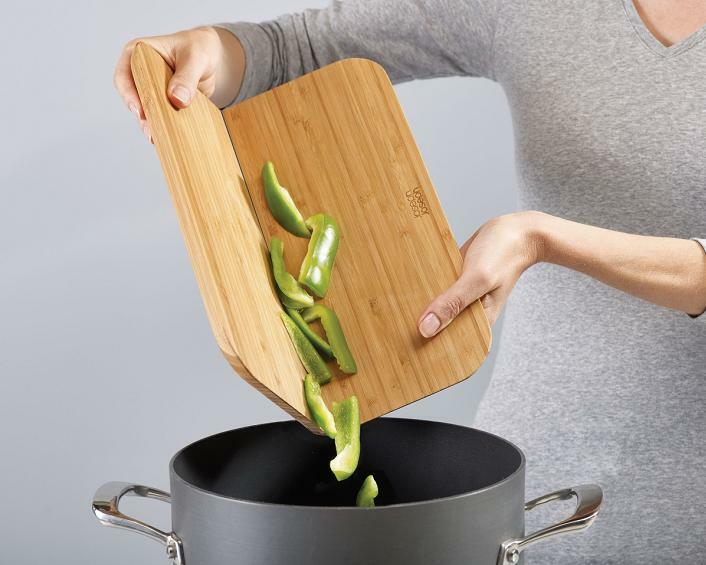 It measures 15" by 11" and is reversible; just flip it over to cut different foods. Buy Now. 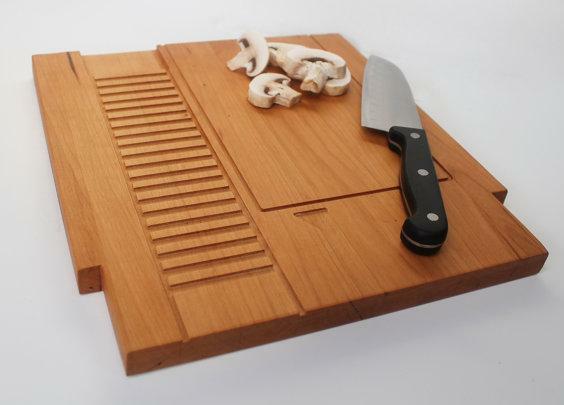 Cartridge Cutting Board: The Cartridge Cutting Board takes its inspiration from NES cartridge, is made of wood, has rich details and grooves, measures 12"x13". Buy Now. 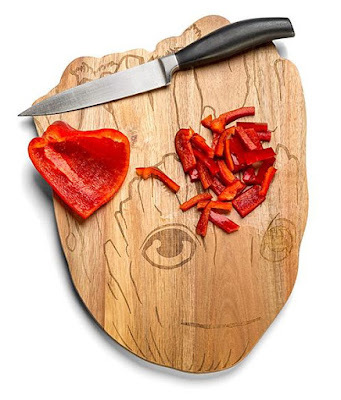 Customizable Cutting Board: The wooden cutting board can be customized. Buy Now. 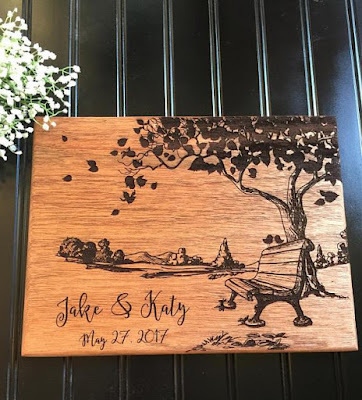 Wooden Cutting Board: This wooden Cutting Board features tree, bench and scenery on the plain side for chopping and slicing. It measures 12" x 9' x 3/4" and is cut from mahogany. You can customize it. Buy Now. 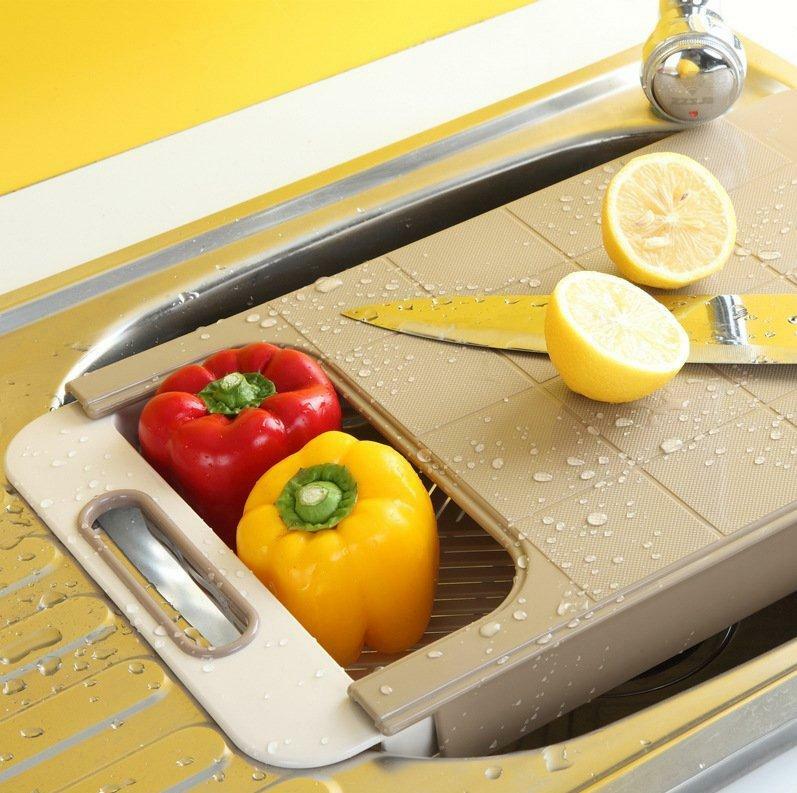 Cutting Board with Scrap Bin: The Cutting Board with Scrap Bin comes with a removable scrap bin for collecting vegetables, fruits and food pieces that you have chopped. Buy Now. Oak Cutting Board with Mezzaluna: Now chop herbs and spices with ease with the Oak Cutting Board with Mezzaluna. And once you are done you can store Mezzaluna into the side of cutting board with magnets. Buy Now.